to all you hard workers out there…happy Labor Day! Before Moulin Rouge, before Folies Bergere, there was DESIR, the jewel of Paris. DESIR is the new theatrical circus experience which takes you backstage at the greatest nightclub the world has ever seen. 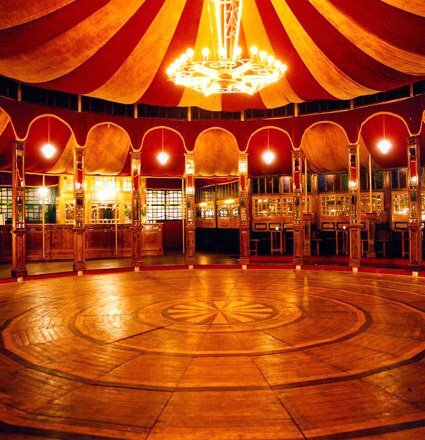 A meeting place for showgirls and soldiers, bejeweled courtesans and maharajahs, DESIR is a carnival world devoted to the pursuit of beauty, clever seductions and breathtaking displays of acrobatic wonder. It is a sparkling merry-go-round where your last love affair is merely an entree to your next encounter. MM and I went to see this show last night at SouthStreet Seaport with two of our friends, and it was amazing. The performers would have given any gymnast olympian a run for their gold, the music was seductive and enticing, the drinks were fantastic and kept coming…it was a show I didn’t want to end. 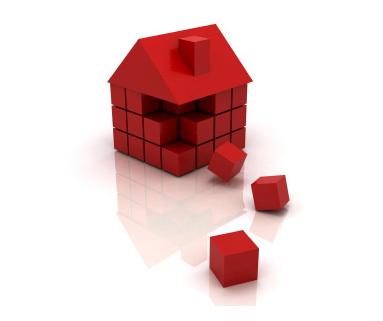 Being that this is my first renovation (in a coop of all places) and I am learning sooo much along the way, I’ve decided to pass along my newfound wisdom. 10. stay and sleep somewhere else!!! I previously posted about Bresaola and one of the usual compliments of Bresaola is rocket. I also eat rocket when I’m eating Bresaola, but I have never called it that. Hearing the word thrown around in culinary circles made me curious, so I looked it up. It is used as a leaf vegetable, which looks like a longer leaved and open lettuce. It is rich in vitamin C and potassium. It has been grown in the Mediterranean area since Roman times, and was considered an aphrodisiac. Before the 1990s it was usually collected in the wild and was not cultivated on a large scale or researched scientifically. In addition to the leaves, the flowers (often used in salads as an edible garnish), young seed pods and mature seeds are all edible. It is now cultivated in various places, especially in Veneto, Italy, but is available throughout the world. On the island of Ischia in the Gulf of Naples, a digestive called rucolino is made from the plant, a drink often enjoyed in small quantities following a meal. The liquor is a local specialty enjoyed in the same way as a limoncello or grappa and has a sweet peppery taste that washes down easily. 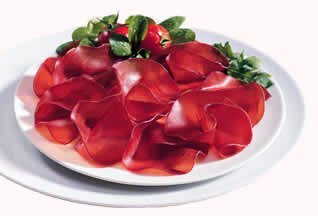 Bresaola is an air-dried, salted beef that has been aged until it becomes hard and a dark red. It is made from eye of round and is lean and tender with a sweet, musty smell. It originated in Valtellina, a valley in the Alps of northern Italy’s Lombardy region. The word comes from the diminutive of Italian bresada, meaning to braise. Usually served as an antipasto, bresaola is sliced paper thin and served at room temperature or slightly chilled. It is most commonly eaten on its own, but MM and I choose to drizzle it with olive oil. 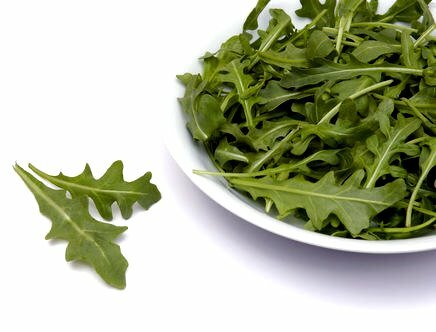 Some add lemon juice or aceto balsamico, and serve it with rocket (rucola, arugula) salad, cracked black pepper and freshly shaved Parmesan cheese. In NYC, you can find Bresaola in Citerella, Gourmet Garage, and Whole Foods. I’ve already mentioned that my little brother, W, was visiting MM and I this week. He is quite the charming young man, and I tend to believe that my Italian fiance has had nothing but a positive effect on him. Last year, MM began to instruct W on the ways to charm the ladies – one major trick: cook for them. W began to hang out with MM and me in the kitchen to watch our methods and learn some recipes – sometimes, all it takes is the mention of the ladies. My mom wasn’t complaining, to say the least. Meanwhile, heat oil in a large frying pan over medium heat. Add chopped garlic and let simmer until you can smell the garlic – do not burn. Add prosciutto and cook, stirring occasionally, until prosciutto is crisp, about 5 minutes. Add asparagus and toss to coat evenly. Let cook until asparagus just starts to get browned on the edges, about 3 minutes. 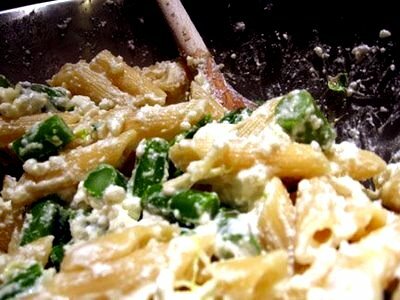 Add a few tablespoons of pasta water to the asparagus mixture, stir, scraping the bottom of the pan to incorporate browned bits. Drain pasta and add to sauce pan. Add ricotta and stir to coat evenly. Taste and adjust seasoning, as desired. Serve immediately.